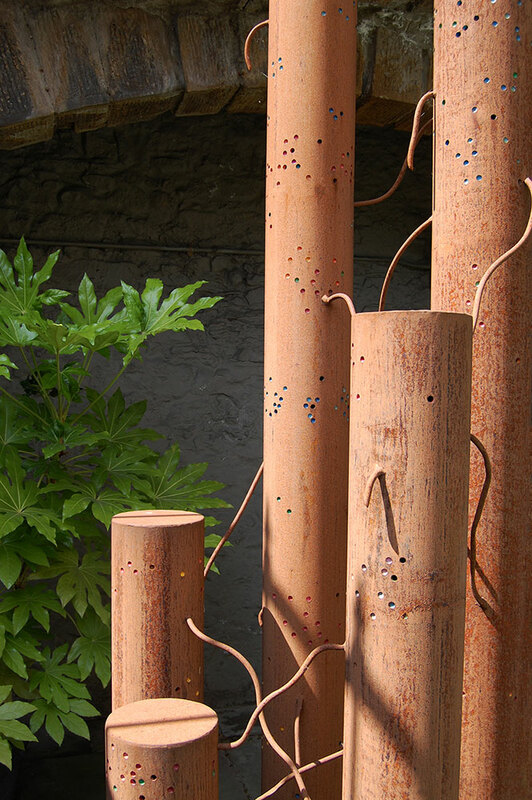 Steel tube and painted drill holes. Private Commission in the New Town, Edinburgh. The idea was to create a sculpture depicting an idealised landscape without using plants. I drew up a planting plan for my perfect flower meadow and transferred the colours onto the tubes. Each dot depicting a specific plant.